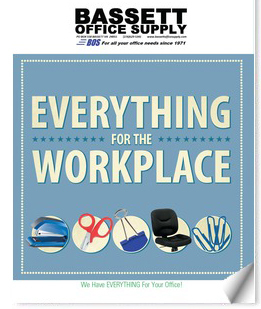 Bassett Office Supply is committed to being a world class supplier of office furniture. Below is a listing of some of the manufactures that we represent. We provide full service from space planning, color coordination, sales service and installation all over the united states and Canada. We are happy to work with you on any size project. Whether you need a single desk or office chair or installation of hundreds of offices, we have the products to fit your needs and budget. Browse and shop our online 2019 Furniture Solutions Catalog. Most items featured are available for delivery the next day!